Leadership: promoting the development of culture and business. The world we left behind when falling asleep yesterday is different from what we find when awakening in the following day, especially within organizations that pull and push the cultural, social and economic transformations that constantly surprise us. This accelerated dynamic generates uncertainty and demands leaders who are willing and able to give meaning to their actions and performance of their teams, increasingly questioning and eager to participate in the decisions that affect them. People voluntarily choose their leaders by observing their behaviors and actions, and not only on the basis of what they hear about them. In this context, leaders are agents of their transformation and of those around them. We are all leaders, whether of ourselves, of groups or organizations, impacting and being impacted by the efforts of awareness and development that we carry out. Many organizations have realized the growing importance of coaching in their development. The delivery of individual results, for the teams and for the organization is closely linked to the leaders’ greater or lesser capacity to take control of their careers in their own hands, building healthy relationships with the various interlocutors, based on the awareness of the integrating role they have. Coaching processes provide private and safe spaces where it is possible to work in depth on issues such as leadership styles, conflicts and integration with teams, among others. High-performance teams are the result of building and maintaining bridges of trust and dedication among team members and with the organizations they serve. It is the leaders’ role to take care of these bridges, starting with their own, and coaching can help a lot in this process. Sometimes we wonder about the greatest risks we incur in the processes of individual and collective transformation in which we are involved. 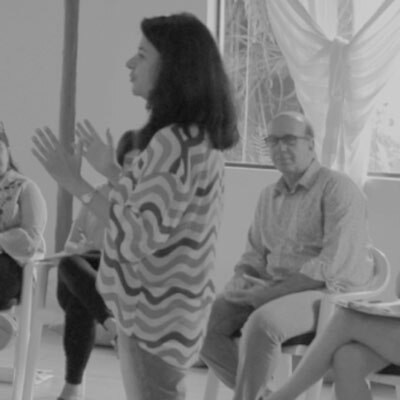 Real change doesn’t just happen in workshops and coaching sessions that we facilitate, but in all meetings and the biggest risk is that the routine absorbs the best efforts and intentions. Adult learning occurs from jointly assessed experiences and feedback exchanges, which can be strengthened by the construction of guidance and mentoring networks. Young talents and Mentors benefit greatly from the teachings and experiences shared in well-structured mentoring programs. As for the coaching networks, they have great development possibilities when working with skills and competencies that complement each other, allowing the results obtained by the teams to exceed the sum of individual capabilities. We need each other to develop ourselves, and the organization itself must take care of its learning process. Culture: the ultimate expression, uniqueness and power of an organization. Organizations in their different stages of life have the challenge of creating, evolving and often transforming established culture. In this process, one must understand the forces that have shaped the organization to date and consciously choose those that remain valid for the future they want to build. While some elements are maintained and must be strengthened, others must be unlearned to make room for the new. At Lumo, the process is a continuous movement of honoring the past, creating the future, deciding according to intention and purpose, and then develop a comprehensive plan for cultural transformation. It is a demanding but rewarding process, as it directly affects business results, reinforces what makes each organization unique and increases the participation of individuals and groups towards a common purpose. Statements of vision or intention, purpose or mission and organizational values and principles are powerful elements in the cultural transformation process. These contain the key messages of the organization’s identity and when well communicated and internalized, they guide and support decisions in all areas. Identity building and internalization is a major activity of any plan of culture, and should be carried out at decision’s golden moment, before the preparation of the culture plan. We believe in participative processes, co-created, where individuals can express their opinions and recognize themselves throughout the construction process, becoming protagonists and articulators for the internalization and effective experience of identity. Under the umbrella of culture, the organizational development concept remains paramount for aligning initiatives and projects and combining them into a real development process, in a mutually reinforcing logic and exploitation of synergies and opportunities. The main objective is to develop and maintain healthy organizations, suitable for growth and development in a volatile, uncertain, complex and ambiguous (“VUCA”) world, from the development of each individual who composes the organization. An effective organizational development process defines and prioritizes actions at the various levels of the organization – identity, policies and strategies, structure, relationships, functions and roles, processes and resources – aiming at a combination of knowledge, skills and attitudes necessary for their success in the short, medium and long term. In the cultural transformation process, relationships must be revised on the basis of the new identity. It is time for the organization to realize and strengthen its social capital, which is as essential as other forms of capital such as financial or intellectual. This participation and collaboration process within teams and between teams, levels and organizations is not something that just “happens” or that can be overlooked – it presupposes an effort, the development of trust relationships and synergies that enhance achievements and opportunities. Within the teams, we work to strengthen the links while between the teams and other stakeholders, we build the access bridges for real collaboration, exchange and generation of added value for all participants in the network of relationships. The implementation and support of cultural transformation plans require change management competencies from organizations. There is science and there is art in change management and we believe that it is the combination of these dimensions that makes good change processes successful; when we combine tools and methods with a particular and humane look at each individual. 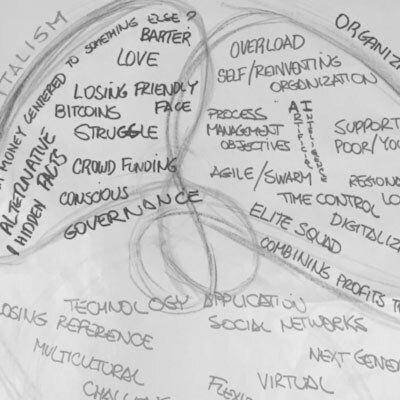 To be successful, the change proposal must first be understood by all, and then accepted by every individual who can then mobilize and risk the fulfillment of the new that is expected of him, knowing that he finds in the organization and in the leadership the necessary support for this movement. Mobilization: the awakening of the will that guarantee effective decisions. Based on the mapping of personal visions, concerns and expectations about the team’s and its leadership’s momentum, we seek to raise awareness and prepare people for the development process, which should answer the issues prioritized by the group that may include group integration, action expectations and commitments between areas, agreements among leaders, definition of roles and responsibilities, and action plans to be implemented. The work should lead individuals and groups to draw their own conclusions and to sensitize themselves by means of the “action” of the protagonism. In this way, the group and, consequently, the organization internalize the new rules in a deep and sustainable manner over time, in addition to choosing the best ways to achieve them. These groups should be safe and provocative spaces that invite participants to dive in search of development, actively participating in activities to reconcile individual and collective learning. Initially one can count on external facilitation, but soon the meetings should be conducted by the participants themselves. The topics worked on must be real and part of the participants’ daily life. The idea is to work on questions that generate new perspectives to problems and lead to creative solutions and learning. The group helps, but it is the individual who decides what to do, formulating a feasible action plan, with responsibilities assigned, deadlines and investments to be made, evaluating and subsequently sharing the results obtained with those who helped to develop the plan. It has become quite common to find in the organizational structures the position of internal consultants or business partners serving different business areas. For these professionals, group facilitation skills, diagnostics construction and co-creation of solutions are critical, always supporting their clients in seeking their answers, participating in the development of feasible plans, and playing leading roles in effective implementations. We go through life trying to give the right answers, but the internal process consultant works with the question that mobilizes reflection and conscious action. The internal consultant should look for ways to activate the (self)-development and the exercise of new facilitation and group-conduction practices, building their own action style, with presence and authenticity.